Pale-coloured micas containing substantial lithium are called Lepidolite. They are usually violet-pink and form hexagonal cleavable crystals and coarse to fine-grained masses. 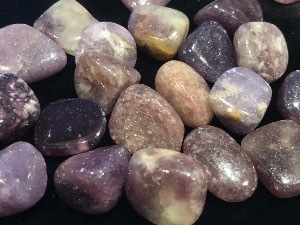 Lepidolite is to clear electromagnetic pollution and it is considered placing a piece on or near computer will absorb their emanations. It’s said when Lepidolite takes mica-like form it’s properties are greatly amplified. 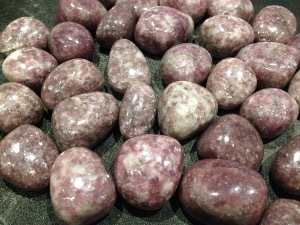 Lepidolite is said to be extremely useful in the reduction of stress and depression. It may halt obsessive thoughts, relieve despondency, and overcome insomnia. It contains lithium and this is said to may be helpful in stabilising mood swings and bipolar disorders. It’s considered excellent for overcoming any kind of emotional or mental dependency, supportive in releasing from addictions and complaints of all kinds, including anorexia. 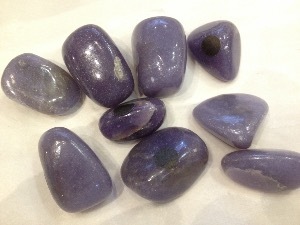 Lepidolite is said to stimulate the intellect and analytic qualities. It may help speed up decision making. It may also help focus on what is important, filtering out extraneous distractions. 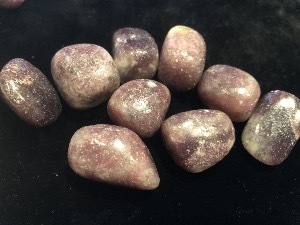 Healing properties of Lepidolite is said to relieve allergies, strengthen the immune system, relieve exhaustion, it’s said by some to relieve epilepsy and Alzheimers. As said before Lepidolite may be useful computer stress or "sick-building syndrome’ as it’s called by some.